At Queen Elizabeth School in Moncton, there is a flurry of activity. It’s 4pm and children are assembling in classrooms, the cafeteria and any available space along with their music teachers. A large group of 6 to 7 year olds hum along to the melody on their music sheet, learning to read musical notes in preparation for playing their string instruments. Not too far away, older kids form an orchestra to practice a piece of music that Sistema teacher and New Brunswick Youth Orchestra (NBYO) Conductor Tony Delgado tells me they have only started learning a week ago. The music that is coming out of the group’s instruments is astoundingly good – I’m getting goose bumps. 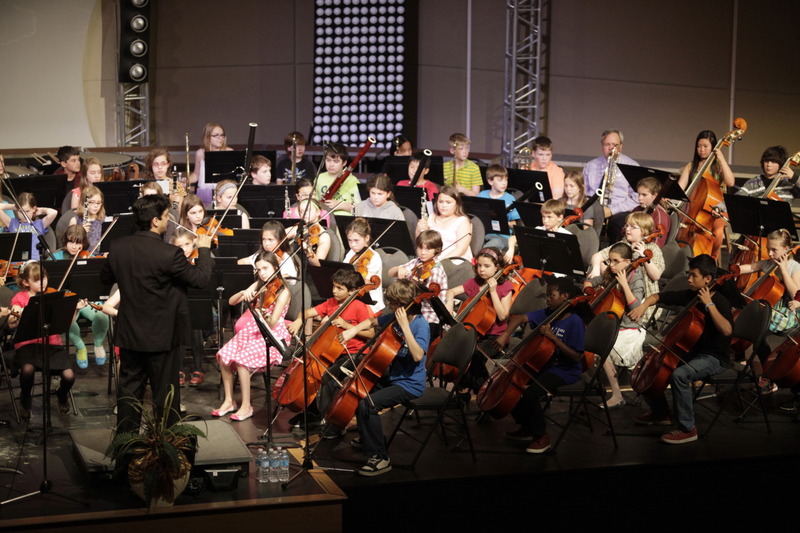 The kids’ faces are deeply concentrated on following along and you can sense the hard work and dedication that these young musicians are putting in. Even more astounding is that these kids will be rehearsing for 3 hours and their attention span is impeccable. Every child here is passionate about learning music, all the while having tons of fun. That’s the magic of Sistema New Brunswick, a program run by the NBYO, which is aiming to break down barriers to inclusion for children in need. The principle is simple: any child who shows enthusiasm and commitment to learn should be able to learn music. Young Sistema musicians are given the instrument of their choice and free instruction every weekday afternoon. Through the process, they also learn valuable life and work ethic skills, which favour their growth and have a positive impact on their lives and society. Sistema NB offers instruction in both English and French and now runs 5 centres: two in Moncton, one in Saint John, one in Richibucto and one in the Tobique First Nation. Partnerships with local schools give access to rehearsal space. The program is run entirely by the NBYO, which provides the instruments as well as hires professional musicians from around the world to teach. What makes the Sistema program so popular with its young students is its participatory ensemble-based approach to learning music. Instead of more traditional music education, where a child learns with a private tutor and is expected to practice by him or herself in between sessions, the Sistema students learn in groups, as part of an orchestra. The young musicians are held to the highest work ethic. They learn from their teachers and practice for 3 hours every day after school, which creates discipline and commitment. They need to learn to play in tune and also in time with their peers. MacLeod and his team’s hard work and vision have paid off. 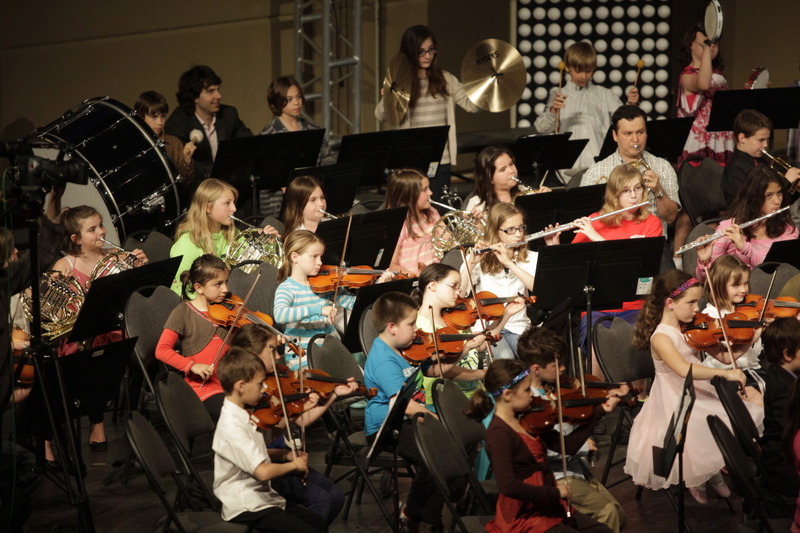 While over 40 countries run Sistema programs, Sistema NB is the largest of its kind in Canada and is now recognized as a leader in its approach. Representatives from Sistema NB are often called upon, both in Canada and internationally, for conferences and coaching/mentoring to help disseminate what they have learned with others.